The theater festival which entertains Hibiya area. Hibiya has been told as the famous place for art culture and entertainment. "Hibiya Festival" is the festival of which this famous Hibiya shows its enthusiasm of the theatre. Last year, there were over 800000 people came to this festival, and it closed with great success. This wonderful festival comes this year again, during golden week in japan! The main stage is going to be held at Tokyo MidTown, and there will be many kinds of great performances in Hibiya area. 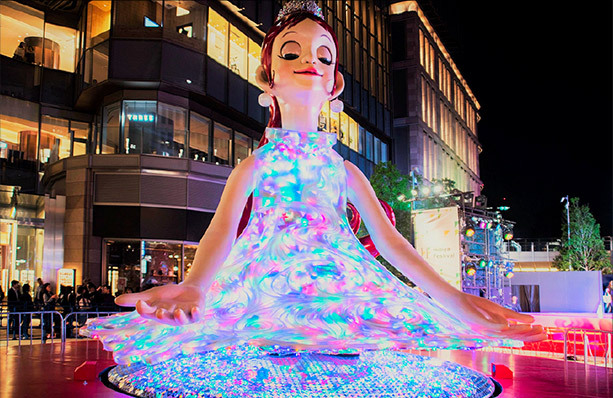 For the first 10 consecutive holidays in the history, the city of Hibiya will be full of entertainment! ・Opening Show: 2019.4.26 Fri. / 27 Sat. ・Symbolic Object, "Flora" Exhibition: 2019.4.26 Fri. - 5.19 Sun. ・Hibiya Step Show: 4.28 Sun. - 5.6 Mon. *Others: Special events will also be held in the surrounding facilities during the period.